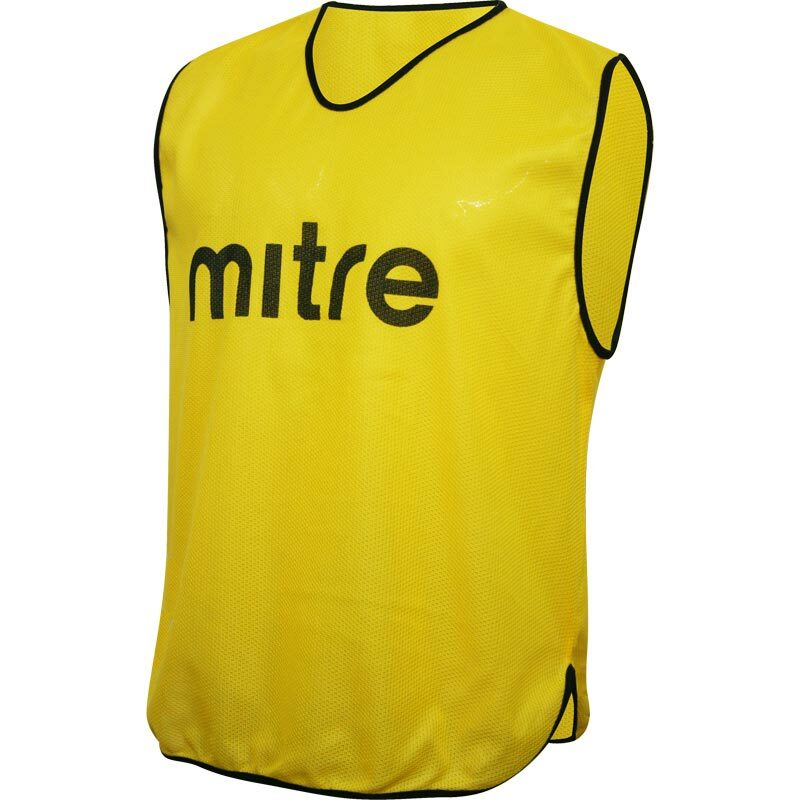 The Mitre ® Pro Training Bib Yellow is an excellent value bib. Made from 100% polyester micro mesh to give light weight and breathable performance. Lightweight vest style bib with Mitre logo on front. Junior = 26 - 34" chest. Small Mens = 34 - 42" chest. Senior = 42 - 50" chest. We've a regular twice weekly 8-a-side football game so have used these bibs for years. They are great quality, wash and dry easily. Efficient service from Newitts whom we used before. If they're so good why did we need more? Only got a handful to replace the few ripped when our games got a bit heated!!! No children or animals were harmed in the making of this review!